Conceptual Marketing Corporation - THE RORSCHACH BASIC FOUNDATIONS AND PRINCIPLE﻿The book review by Harald J. DahleFirst some words about the eminent author John E. Exner, Jr. who was born on February 20, 1928 and passed away in 2006. Born in Syracuse, New York, he was an American psychologist and received a BS and an MS degree in psychology from Trinity University and a PhD in clinical psychology from Cornell University in 1958. His name is famous because of his work on the Rorschach inkblot test. He was executive director of Rorschach Workshops in Asheville, North Carolina. For more than three decades he focused on the Rorschach and developed a standardized system for its interpretation.﻿His Exner System Scoring, formally known as the Comprehensive System, was first published in 1974 and is now the standard method in psychology for administering, scoring and interpreting the Rorschach inkblot test. 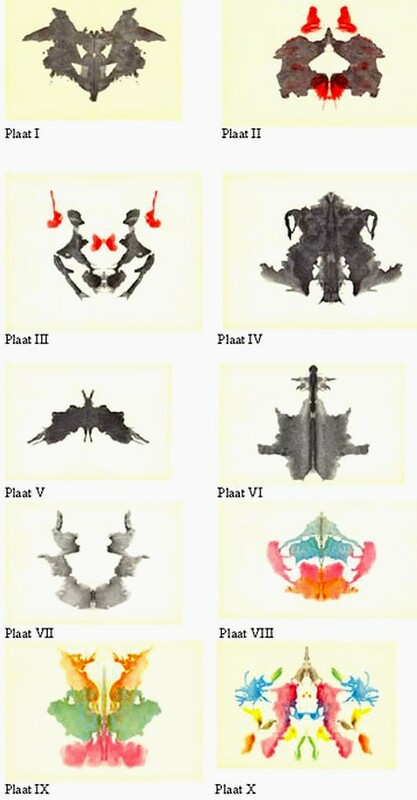 Through his work, the Rorsch-ach inkblot test became a more useful psychometric instrument. 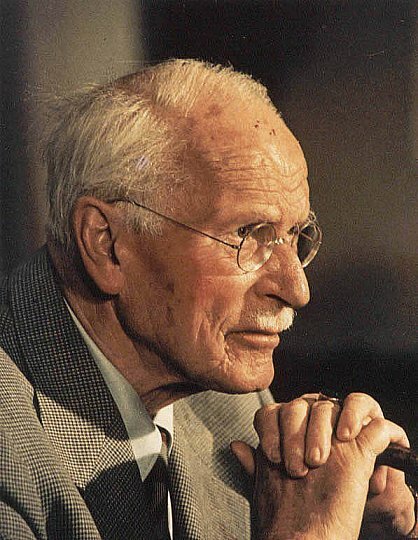 For his outstanding lifetime contribution, he received the Bruno Klopfer Award in 1980. 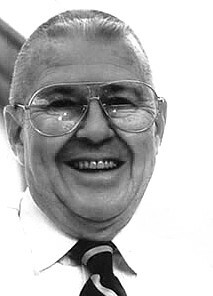 First some words about the eminent author John E. Exner, Jr. who was born on February 20, 1928 and passed away in 2006. Born in Syracuse, New York, he was an American psychologist and received a BS and an MS degree in psychology from Trinity University and a PhD in clinical psychology from Cornell University in 1958. His name is famous because of his work on the Rorschach inkblot test. He was executive director of Rorschach Workshops in Asheville, North Carolina. For more than three decades he focused on the Rorschach and developed a standardized system for its interpretation. 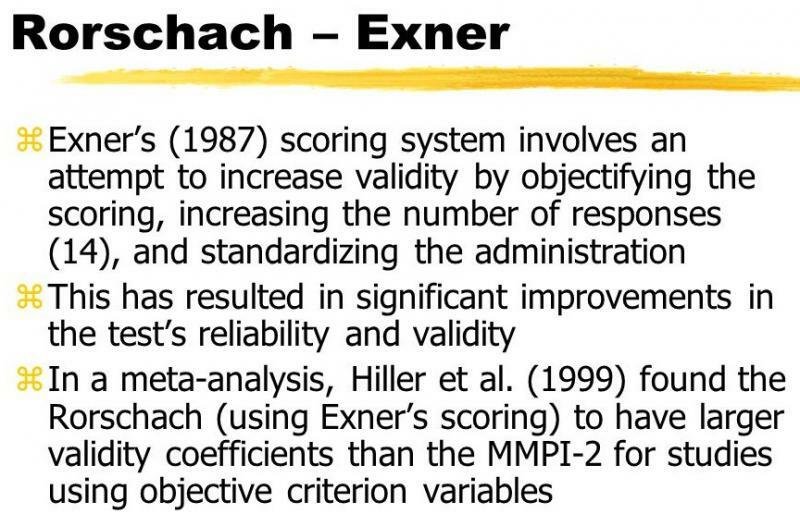 ﻿His Exner System Scoring, formally known as the Comprehensive System, was first published in 1974 and is now the standard method in psychology for administering, scoring and interpreting the Rorschach inkblot test. 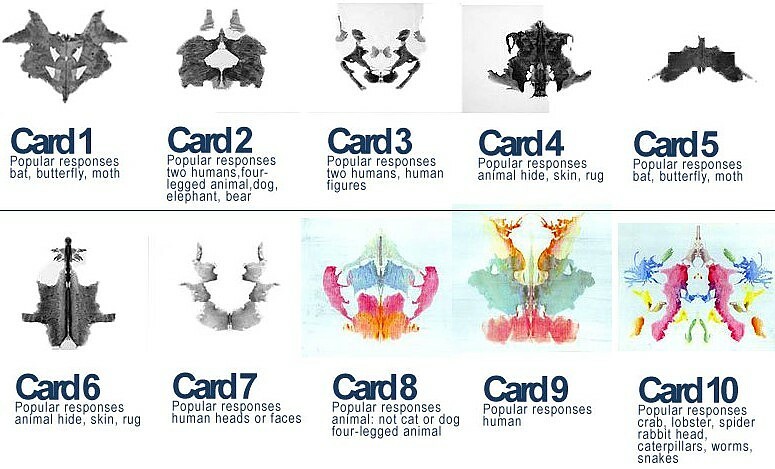 Through his work, the Rorsch-ach inkblot test became a more useful psychometric instrument. For his outstanding lifetime contribution, he received the Bruno Klopfer Award in 1980.
Review by Harald J. Dahle. 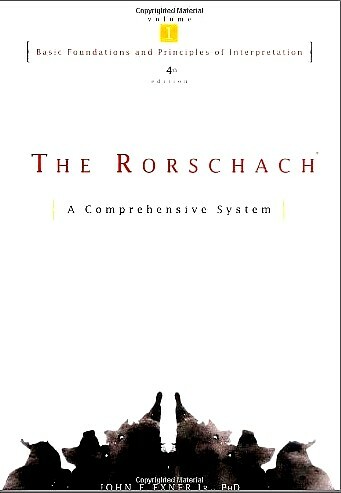 I stumbled over the book "The Rorschach" on Amazon, written by John E. Exner Jr., PhD professor Emeritus in Psychology at Long Island University in New York on Amazon.com I decided to buy it. 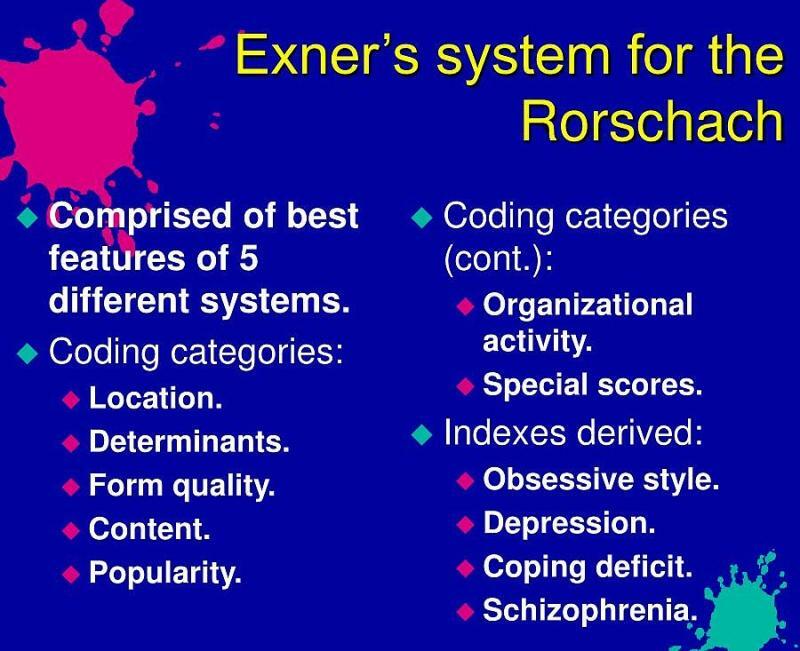 Dr. Exner was the executive director of the Rorschach Workshop, which he founded in in 1968, and Curator of the Rorschach Archives and museum in Bern, Switzerland. He is past president of the International Rorschach Society. Part two is a natural continuation of chapter one, guiding the reader through administration and scoring of the Rorschach test. Next follow coding and criteria, discussed of no less than 33 pages: the form determinant, the movement determinant, active-passive superscripts, chromatic color determination, achromatic color determination. The form dimension re-sponse, pair and reflection response and the blend response. Dr. Exner winds up the second chapter by putting search light on interscorer agreement and references. In Part three Dr. Exner bores into the Nature of the Test, by exposing Rorschach's Concept of the Method and the Rorschach as a Decision-Making Task. The book continues with the Range of Potential Responses, flowed by The Response Process, The Input Process and The Classification Process. He winds up chapter three by opening up for the reader, the adult non patient sample, design for collecting non patient data and the characteristics of the non-patient sample. Whole of Part four is dedicated to the interpretation of the Rorschach test. Here Dr. Exner starts with general guidelines regarding interpretation, followed by controls and stress tolerance, institutionally related stress, affect and information process-ing. On page 364 Dr. Exner starts up with describing the process of cognitive mediation, ideation and self-perception. Now follows a thirty page sub chapter: Interpersonal Perception and Behavior. That is Rorschach variables related to interpersonal perception, interpretive rou-tine, research and concepts related to interpersonal variables, aggressive movement, co-operative movement, personal responses and isolation index and references. The book is beautifully concluded with the sub chapter The Complete Description; the sui-cide constellation, the perceptual-thinking index and building a complete description. For the last three decades, Dr. John Exner's Comprehensive System has been the leading appro-ach worldwide to administering and interpreting the Rorschach test. This new edition provides updated research and information on administering, scoring and interpreting the Rorschach test, as well as new normative data, coverage of recent controversies and criticisms of the test, and illustrative case studies. I have read Dr. Exner's book and can recommend it for both professionals in psychiatry and medicine as well as lay people with interest for this subject.